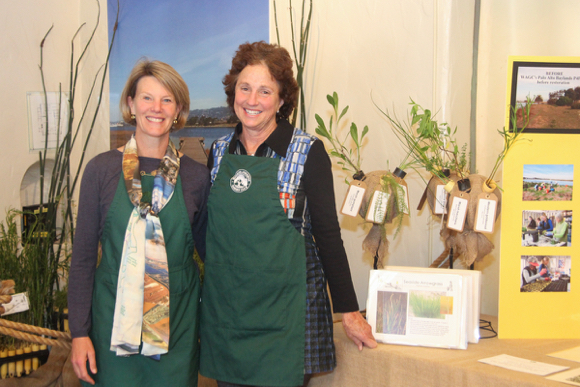 The Arts of the Garden — a judged Garden Club of America flower show displaying excellence, beauty and knowledge in floral design, horticulture, photography and conservation — took place at the Allied Arts Guild in Menlo Park on Friday, March 31. InMenlo contributing photographer Frances Freyberg was on hand and sent us some photos, mostly of the floral design exhibit. 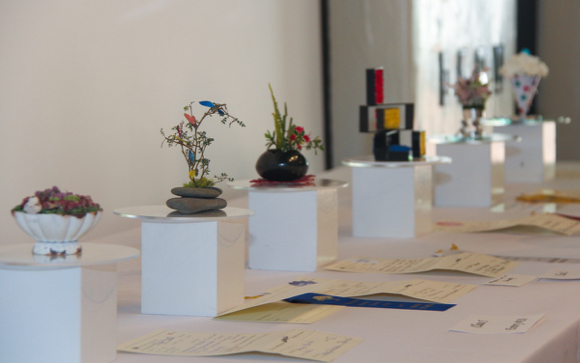 The miniature designs (pictured above) are less than five inches tall. 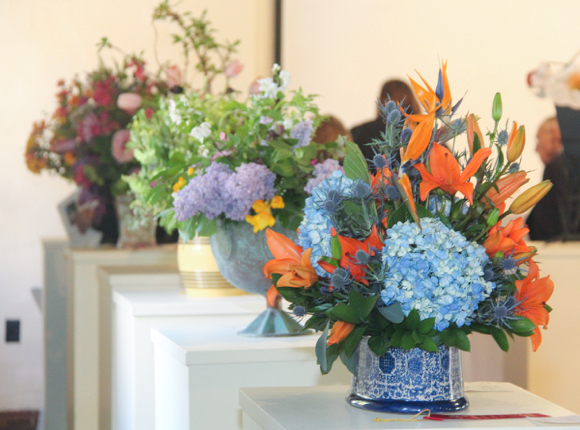 Awards were handed out in categories that included flower arrangements exhibiting texture or moods and photographs focusing on Spanish Colonial architecture, among others. Grant Hilderbrand, Chief of the Marine Ecosystems Office, USGS Alaska Science Center will give this free public lecture on March 30 at 7:00 pm. It will take place in Rambo Auditorium Bldg. 3, 345 Middlefield Rd., Menlo Park.